Those “Frown Lines” between my eyes. “Crow’s feet” are lines radiating from the corner of our eyes. Some of us do not mind of these lines and kindly refer them as smiling lines. However, for most of my patients, these lines are the 2nd most likely target of Botox treatment. 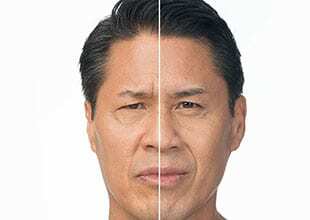 Both male and female patients ask for forehead line reductions. Ladies will use bangs to hide these lines until one day they really tired of wearing bangs. 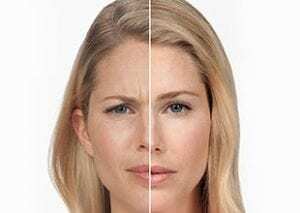 Injecting “Forehead Lines” with Botox requires a skilled injector to achieve symmetry of the eye brow position and to avoid any complications of heavy eyebrows or droopy eyebrows. My advise to patient is to proceed with forehead Botox injection with caution and seek more experienced injectors. Since Botox were approved for migraine headache by FDA. More patients are seeking Botox injection as a treatment to prevent chronic migraines. Sweating hands and feet for some of us are more than an inconvenience, it is a hazard for their jobs. If you are a top tennis player, sweating hands can affect how you grip your tennis racquet. One of my patient is a top executive, he travels the world to negotiate business deals. With a hand shake in the end, the deal is sealed. A dry hand shake is what he preferred. Botox injection in his palms delivers a perfect DRY hand shake.